Beautiful and cheeky black boy looking for a new home and loving parents. Kitten will come with all veterinary checks, 2 course vaccination, dewormed, microchip, and full detailed contract. Fully registered with TICA and complete pedigree provided. All my cats are tested for Fiv and Felv, both parents scanned for HCM. 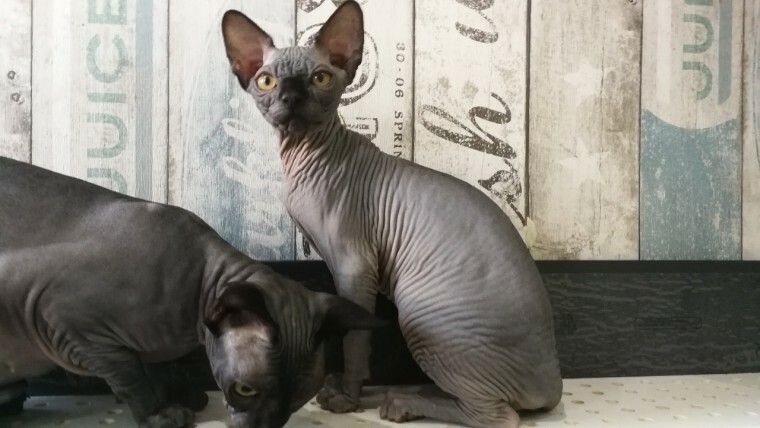 I invite you to visit and see yourself how amazing and special sphynx are. To reserve him deposit of 300 pounds is required (non refundable).